"Frogs Address Labels" product is already in your cart. Donï¿½t let the bug eyes scare you on these fun-filled Frogs Address Labels that will brighten any envelope when you send out your mail! Four delightful poses capture the exotic nature of this little creature as he poses on a tree branch, orange flowers, clings to a drooping pretty pink flower and balances himself on the side of an orange blossom. 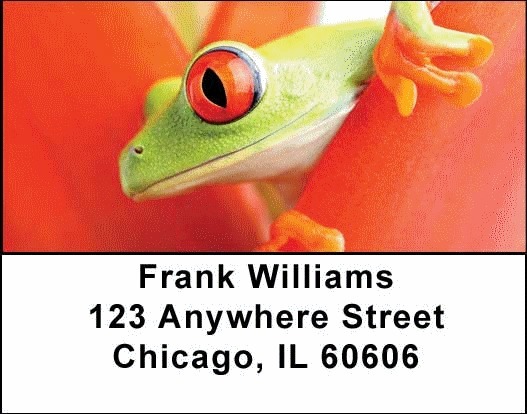 If you want to ensure that everyone notices your mail you will accomplish that with these creative and colorful Frogs Address Labels that will garner all the attention you could want but also add some drama to an otherwise dull existence!